needed to access the Goron mines. Fires an arrow in the direction Link is facing. It does not go the entire length of the screen, but the majority of it. If an arrow hits an object, it will stop. They can fly over certain low fences and barriers. it does minor damage to enemies. The projectiles can also be used to hit basic impact switches that are out of reach, eyeball switches, and when necessary, knock some hanging items down. When aiming the bow, but before releasing it, you can press the equivalent of the R trigger to switch types of arrows. The selected type remains equipped to the bow until you switch again or unequip the bow from its button. 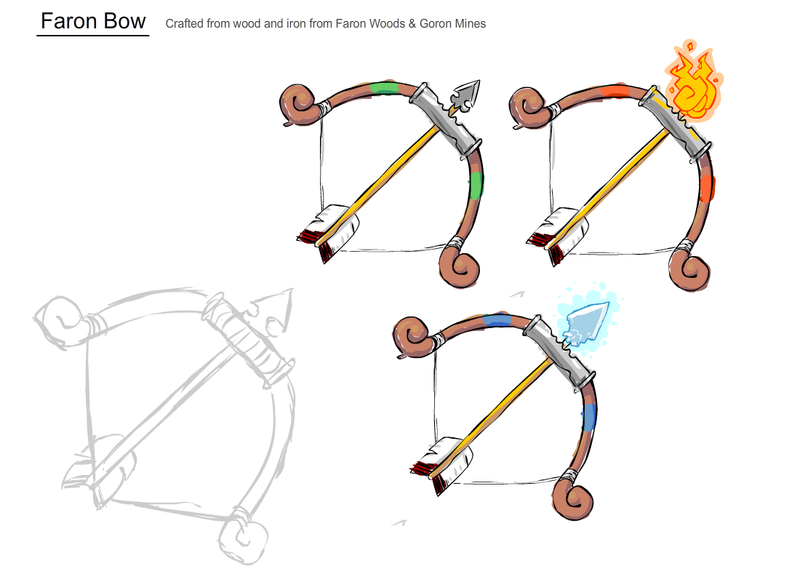 Fire arrows can burn things, light torches and open pathways blocked with wood. Ice arrows can freeze things to use as stepping stones, or freezing some things would make them breakable. Using the fire or ice arrows requires magic per arrow. This page was last modified on 22 September 2012, at 21:51.